2 Littlefaces: Happy Pancake Tuesday! We love pancakes! I am a bit of a cheat and use american ready mix Aunt Jemimas… so fluffy!!! But this year I thought I would make them from scratch, big mistake, they were not as good as Aunt Jemima's! 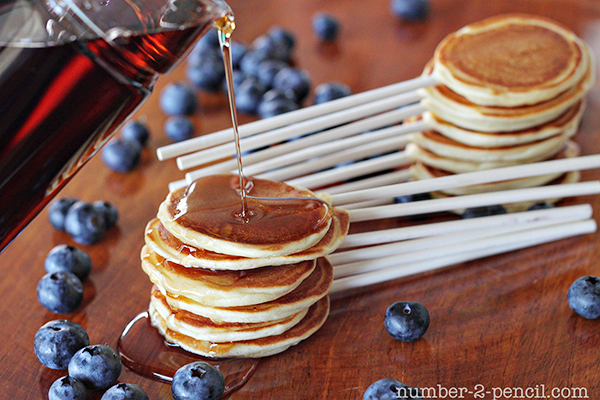 I wanted to make these mini lollipop pancakes but couldn't find the lollipop sticks in time. Looks great and thought it would be fun for Harvey to dip. but I made these bacon pancakes instead! Genius! and in the picture you can see they too used Aunt Jemima's (should have taken it as a sign) And I can tell you they tasted delicious especially with a dollop of syrup. 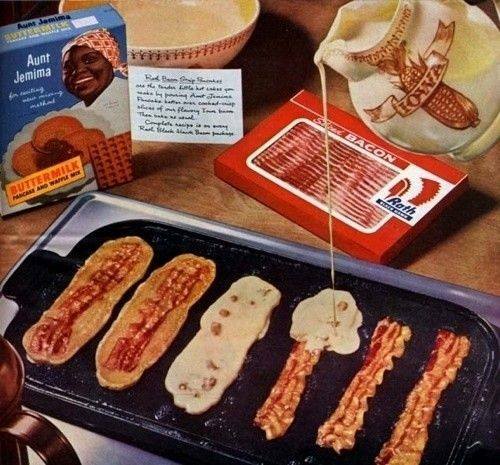 I am definitely going to try the bacon pancakes with Aunt Jemima's next time!